Are you ready to ‘login with Instagram?’ With younger folks avoiding Facebook altogether, the company stands to not only lose a lot of money, but also its dominance as an identity provider. YouTube is testing an IG like highlight feature. The 2nd most used search engine will allow users to explore new and suggested content. Release date is tbd. Content is king they say, but what if no one is engaging with your content? If that’s the case, it’s time to take a deep dive into those KPIs! There are some fairly common engagement metrics you should be tracking to make sure your content aligns with your users. Pageviews: One of the most standard metrics to track. If you’re investing in content, the goal is to (obviously) see an upward trend on pageviews. Time spent on page: If you’re writing long-form posts and folks are only spending 15 seconds on your site, you’ve got a problem. Consider optimizing for more time spent on the page by assessing the variety and value on your site, ease of navigation and clear calls-to-action. Top exit pages: Tracking your top exit pages is a great way to evaluate where there’s friction on your site. While some pages are in place to serve as exits (thank you, checkout, etc. ), it’s important to make sure you don’t have a high exit rate on non-exit pages. Pages per session: Are you walking your customers through a journey on your site? If your pages per session number is high, there’s a good chance you’re doing something right. Don’t get carried away though. It’s crucial to compare pages per session with duration. Now that you’re diving deep into those KPIs, how about some branded reports with data visualizations to share with your team and clients? 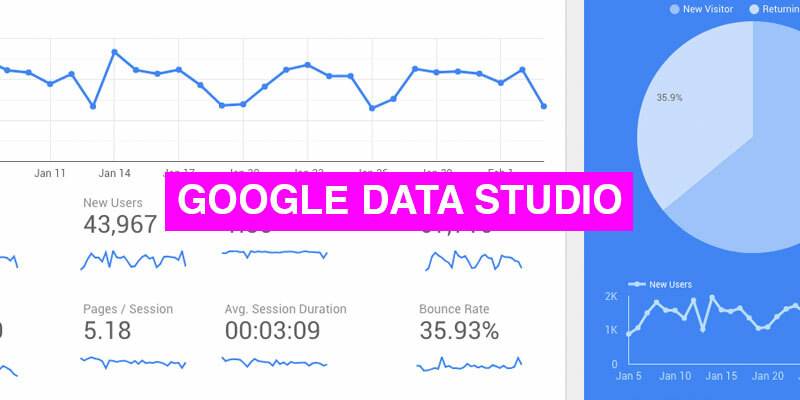 Enter Google Data Studio. If you’re using it already 👊🏽, if not we highly recommend it. What we like: It allows you to combine multiple data sources (Facebook and Google Analytics) in one report. Basically, any data that is in a Google Sheet can be combined. There are hundreds of templates to choose from. What we don’t like: It’s super robust, which is great, but there’s definitely a learning curve. We recommend watching some YouTube tutorials. If you don’t wanna do any of this, hit us up for your analytics strategy. We have a thing for data. Mint Mobile is making a big push in 2019 as a premiere “value brand” in the wireless space. The 3-year old company went all in on Super Bowl Sunday. “That’s just not right” was the theme of the ad. We concur that chunky milk is never right. Here’s an interesting one. 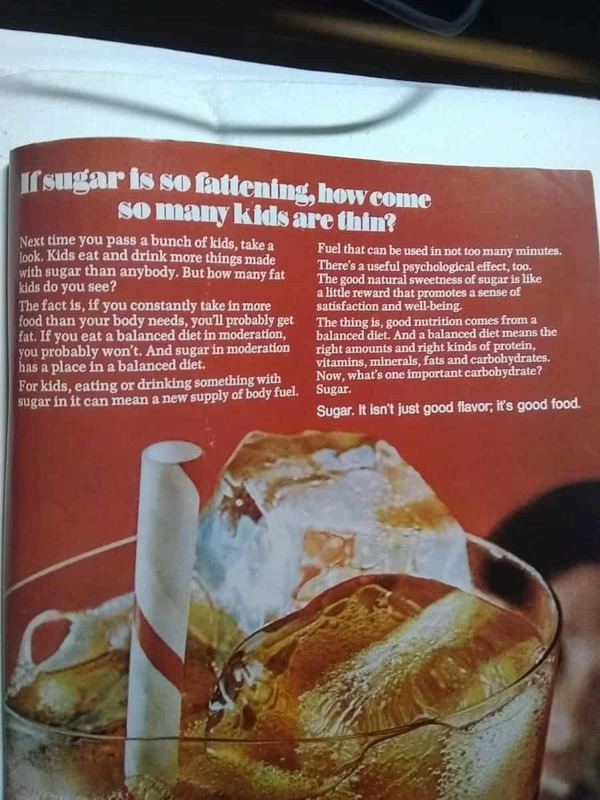 A sugar information ad in NatGeo circa 1972. Shame on you. Fool me twice—luckily there’s a bullsh*t detector for that. 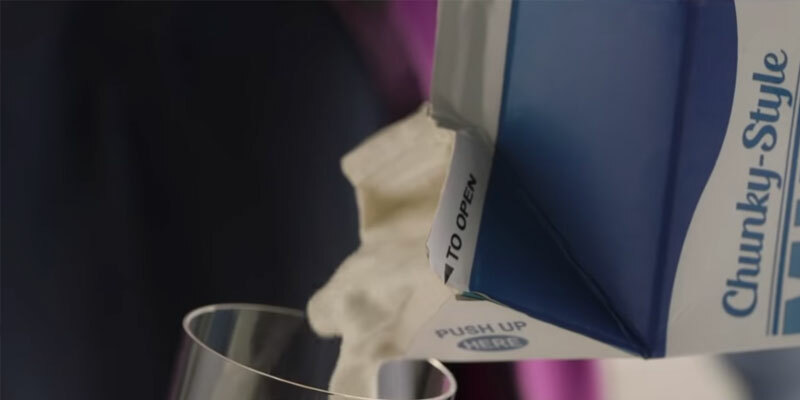 You’re also gonna learn about microcopy and see the best commercial of the year. The hot dog brand is taking quality to the people this summer. Beardbrand’s email marketing is about to make you jealous. If only we could do a content audit from bed… Or, can we?